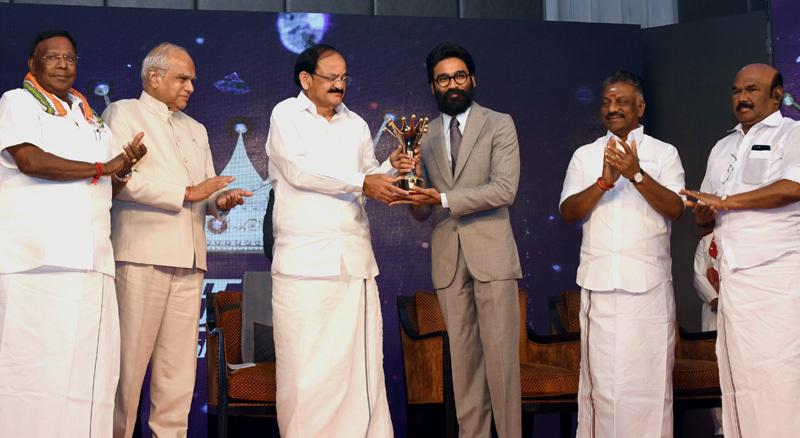 The Vice President, Shri M. Venkaiah Naidu giving away Magudam Awards constituted by News18 Tamil Nadu, for the best and the brightest from Tamil Nadu in various fields, in Chennai on October 16, 2017. The Governor of Tamil Nadu, Shri Banwarilal Purohit, the Chief Minister of Puducherry, Shri V. Narayanasamy and the Deputy Chief Minister of Tamil Nadu, Shri O. Panneerselvam are also seen. Manesar: The Vice President of India, Shri M. Venkaiah Naidu has said that the International community has to launch a concerted effort to isolate States which are sponsoring terrorism. He was addressing the 33rd Raising Day Celebrations of the National Security Guard (NSG), in Manesar, Haryana today. The Minister of Education, Government of Haryana, Shri Ram Bilash Sharma, the Director General, NSG, Shri Sudhir Pratap Singh and other dignitaries were present on the occasion. I am sanguine that you will always be committed to your Vision to be ‘A World Class Zero Error Force’. Our wishes and prayers are always with you and I am certain, that you will always put your best foot forward and come out successful in all your endeavours, while serving our great nation.